Roger Hodge, author of Texas Blood, joins Amy to talk all things Texas. They touch on family history, pilgrimages, Cormac McCarthy, and the borderlands. Garrard Conley joins Amy to talk about his memoir, BOY ERASED. They talk about his time in gay conversion therapy, finding himself afterwards, and focusing on compassion. Mitch Horowitz is the Vice President and Executive Editor of TarcherPerigee books and master of all things occult and esotericism. Mitch & Lindsay discuss the struggle with mainstream media and how we can retain information in the age of oversaturation. They talk about his recent fanboy moment as well as witch hunting, Ouija boards, positive thinking, and spirituality. Journalist and author Lisa Napoli joins Amy to talk about her book, RAY & JOAN. 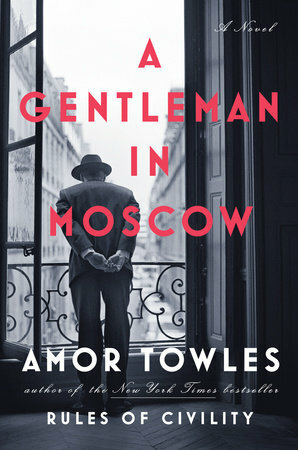 They discuss McDonald’s history, radical giving, technological advances, and the work of art that inspired Napoli to start digging. .
Amor Towles, author of the best-selling RULES OF CIVILITY, came on the show to talk about his new book, A GENTLEMAN IN MOSCOW. He and Amy talk Russian literature, gratifying research and why Andre Agassi is like a good novelist. Tara Clancy, author of THE CLANCYS OF QUEENS, joins Amy to talk Brooklyn, Shakespeare, The Moth, and how writing a memoir with your name at the bottom is a spoiler in and of itself.